We offer a range of web template designs for video and cinema. We also provide details on how to create a video website with PayPal shopping cart service and PayPal payment buttons. Your website is supplied with a video search bar. This means that the videos you add to your website are completely searchable, based on the keywords you add to each video (each gallery item). What's more, they can also be indexed and searched on external search engines, such as Google, Yahoo and Live (MSN). 4 galleries provided as standard and you can create stacks of videos in each gallery. Upgrade to 20 galleries, if you want. Completely searchable, allowing your web visitors to search for clips based on your own tags or keywords. 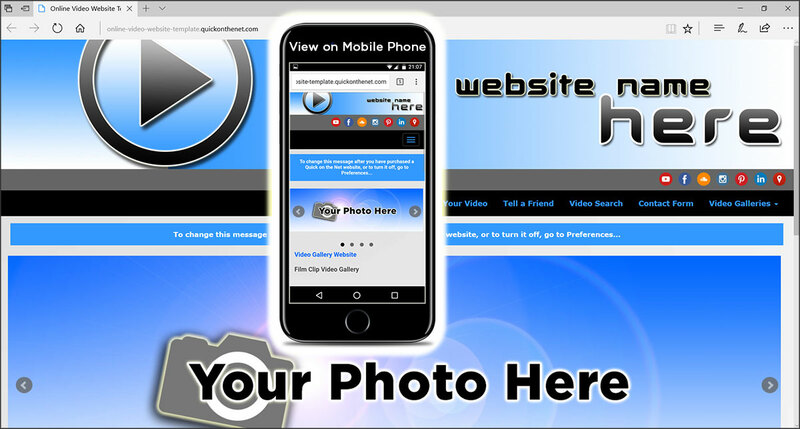 Use all of our regular web building features to add your own logo, photos, information and text. 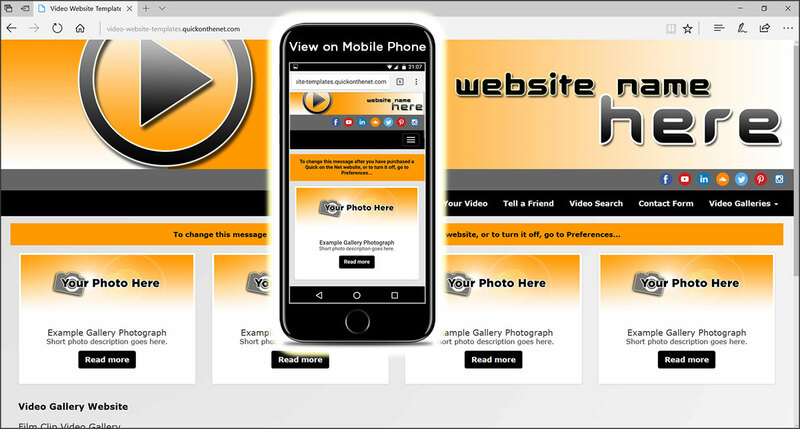 It's perfect for business users, sports clubs and personal websites. Register and use your own internet domain name. Feature your own website on search engines. All of our websites are indexed by all of the world's leading search engines, including Google, Yahoo and MSN. For no additional charge, add your own advertising banners and Google AdSense adverts to generate income from your site. Embed video movies and create your own searchable film gallery. Start by uploading your own video movies to a free video host like YouTube.com or MetaCafe.com. Then simply embed the videos in your QuickontheNet.com web galleries.